Environmentally friendly, easy to shop and always at your fingertips. Click the check box below to the catalog title you'd like to receive and we will send you the most current edition – FREE. To notify us of your change of address for your catalogs, send an email to websiteinquiry@landsend.com. When contacting us please provide your full name and address, or the C number from your catalog's mailing label. 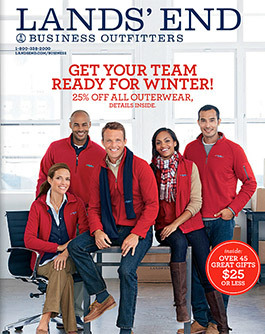 To cancel your subscription to any of our catalogs, send an email to websiteinquiry@landsend.com. When contacting us, please provide your full name and address, or the C number from your catalog's mailing label. Please allow 2 – 4 weeks for mailing to stop.